An award-winning executive and accomplished industry speaker with more than two decades of experience in financial technology, Serena serves as Division Executive of Open Payments and Global Head of International Payments Strategy and Product Management. In her Open Payments role, she has global business and financial responsibility for the Real Time Payments and enterprise payments business. She also leads the $1 billion international payments strategy, innovation, and product organization. Serena joined FIS in 2003 with the Image Solutions Division and has continued to excel and establish herself as a leader in the company. Notably, she has managed the debit business in Norcross, Georgia and served as Chief Client Officer for North American Retail Payments. Along with her professional excellence, Serena founded Team FIS (2012) for the Leukemia and Lymphoma Society’s Team in Training flagship fundraising program, raising more than $1.84 million. Serena is a stage 4 blood cancer survivor who has personally raised more than $250,000 for The Leukemia & Lymphoma Society through sharing her story. Eleni Z. Antoniou is an accomplished Human Capital Executive with a career expertise in agile, innovative, strategic human capital and talent solutions. She has served as Vice President and Executive Consultant for multiple small Federal Government contractors. Eleni is a graduate of Marymount University with a master’s degree in Human Resources Management. She is also a Certified Scrum Product Owner (CSPO), Certified Assessment Facilitator, and holds a federal Top Secret security clearance. Madeline Belfoure is a senior marketing leader with over 25 years of experience. She has held several marketing leadership positions, including Elavon, a top 5 global payment processor, a Top 20 U.S. commercial bank and a national real estate finance firm. Her expertise is in channel marketing and branding. With more than 20 years of experience, Gisselle Cerezo is a seasoned Fintech innovator and executive leader, with a focus in the Financial Crime & Risk Management sector, including but not limited to Fraud, AML, Cyber Security, CTF, Identity Verification & Authentication, Compliance, and Regulation. Gisselle’s uniquely well-rounded perspective has been shaped through hands-on experience with nearly every aspect of the Fintech company ecosystem, including GTM definition and strategy, technology partners, solution development, pricing, branding, marketing, pipeline development, deal strategy and execution, solution delivery, client management, and P&L management. Gisselle has engaged with some of the world’s top companies in support of new customer acquisition, partnerships, and regional / global market needs analysis. Her cross-vertical experience includes financial institutions, emerging payment channel providers / market disruptors, insurance, and government entities throughout the Americas and UK-EMEA. A highly experienced public speaker and acknowledged industry expert, Gisselle is a regular presenter at forums such as ACAMS and ACFE, as well as multiple state / national banking and credit union associations. She is media-trained, has collaborated with industry analysts, and published content for public and private audiences. Shimona is a marketing and business strategy professional with around 20 years of experience. Passionate about nurturing client relationships, enhancing customer experience and driving tangible business outcomes. Shimona also leads HCL’s Red Ladder Initiative – a gender inclusion initiative aimed at enhancing the representation of women in leadership roles. Maria C. Coyne serves as the President and CEO of the UCC Cornerstone Fund. Maria is a financial services executive with over 30 years of experience in commercial and retail banking. Nationally recognized as an engaging leader, Maria is featured in several books and publications including How Women Lead by Dr. Sharon Hadary, and Off the Sidelines by Senator Kirsten Gillibrand. She has also worked with several “fintech” companies providing strategic consulting, and as a senior consultant at the telos institute. While at KeyCorp from 2001 to 2015 she served as an Executive Vice President and a member of KeyCorp’s Executive Council. She was the founder of the Key4 Women program and also held leadership positions in Retail/Consumer Banking, Business Banking, Strategic Planning, and Client Experience. She was named twice (in 2013 and 2014) as one of American Banker’s “25 Most Powerful Women in Banking”, and twice as one of the “Women to Watch” (2011 and 2012). Prior to Key, she spent three years at the Greater Cleveland Growth Association and over 10 years at Bank One Cleveland, serving in various management capacities before becoming Director of Marketing. She is a prominent thought leader on small business and women’s leadership and has been featured frequently in media including the Wall Street Journal, CNN, NPR, Bloomberg News, and BusinessWeek. Maria has considerable experience serving on non-profit boards including the Cleveland Catholic Diocese finance council, the Ursuline Sisters finance council, Beaumont school, the MacDonald Women’s Health Council of University Hospitals, the Sovereign Order of St. John, and she was an inaugural member of the United Way Women’s Leadership Council. Maria is a graduate of the University of Notre Dame with a Bachelors of Business Administration in Finance. She also completed the Key Executive Experience at the Case Weatherhead School of Management. Maria is a proud Clevelander, where she and her husband raised their two adult children. She is an avid rower and enjoys travel and learning about new cultures. BankiFi’s founding partner Conny Dorrestijn has worked in the international financial technology industry for over 25 years, most recently at Clear2Pay which was acquired by FIS. Speaking frequently at international events such as BAI, EBA and Money2020, she is an Advisory Board Member to Money2020 Europe, Holland FinTech and a non-executive board member at a number of fintech companies. Genevieve Dozier is an accomplished payments professional with over 12 years of leadership experience at a top 20 acquiring bank, card issuer, ISO and processor. She specializes in sales strategy, product development and marketing, and effective training, consultation and communication. A graduate of Meredith College, she is also a mother of two and wife. She is actively involved in Wnet and Women in Payments advocating for the continued advancement of women in the industry. Rhona Driggs, President of Volt GlobalSolutions and has spent her 28 years in the industry building a sustainable client delivery model for long-term workforce management and staffing solutions with many of the world’s most highly respected companies. As an industry veteran, Driggs embodies a philosophy to challenge the status quo, including being a devoted customer advocate pushing boundaries to ensure customers are satisfied. She is a member of the Global Power 100 list of Women in Staffing and a frequent guest speaker at industry conferences. Kristy Duncan founded Women in Payments in 2012, and holds advisory/board roles at a number of fintechs, including FI.SPAN, Digital Retail Apps, and ingeni. Kristy was a judge for the Holt Accelerator and Australia’s Finnies Awards. Verity has 20 year experience in financial services, predominantly in securitisation funding roles for various businesses. Before Xinja, she was an Associate Director at Macquarie Bank developing BFS’s mortgage analytics capability. Previous roles include Treasurer at Bluestone Mortgages during the GFC and working at AMP in actuarial services, where she developed a keen interest in data, modelling and risk analysis. Verity volunteers to run the banking at her children’s school. Sabine is a very patient and highly responsible learning coach professional with more than 30 years experience in project management, research and supervision. She is certified as “NLP Master Practitioner DVNLP for NLP-Psychotherapy and Psychosocial NLP-counseling ” , Memory Trainer and Practitioner of Reiki 2nd degree. She worked many years as Industrial Clerk in an International Pharmaceutical Company. Due to her many years of experience as an employee, she has a great deal of understanding for transformation processes. She is member of the Diplomatic Council, which is a global Think Tank and Business Network with UN-accredited Consultative Status. Linda is the Chairman, President and Chief Executive Officer of TalentGuard. Linda holds a Master’s Degree in Career Development from John F. Kennedy University, and an undergraduate degree in Liberal Arts from Norwich University. Eileen R. Heisman, ACFRE, is the President and CEO of National Philanthropic Trust. She is a nationally recognized expert on charitable and planned giving. Ms. Heisman has been interviewed about philanthropy and donor-advised funds on CNBC, PBS, NPR, CNN International and Bloomberg TV, and by nearly every national newspaper and major trade publication, including the Wall Street Journal, New York Times, Washington Post, Bloomberg, CBS MarketWatch, Financial Advisor, and Investment News. She was among the first fundraising professionals to earn the distinguished ACFRE certification. She has been named five times by NonProfit Times as one of their Power and Influence Top 50, an annual listing of the 50 most influential executives in the philanthropic sector, most recently in 2018. She is also the Association of Fundraising Professionals' 2014 Outstanding Fundraising Professional. Ms. Heisman is currently a member of the faculty at Leadership Philadelphia, as well as an adjunct faculty member at the University of Michigan's School of Social Work graduate program and a lecturer at the University of Pennsylvania's School of Social Policy and Practice. She is a regular lecturer for the Nonprofit Board Leadership Program at the University of Pennsylvania's Wharton School and a member of the Governance Committee for the Nonprofit Leadership Program at the University of Pennsylvania's School of Social Policy and Practice. Ms. Heisman serves on the Advisory Board at New York University’s George H. Heyman, Jr. Center for Philanthropy and Fundraising and the University of Michigan's School of Social Work. She is also the Chair of the Board at CultureTrust. Ms. Heisman has a bachelor's degree with honors in psychology from Carnegie Mellon University and a master's degree in social work with a major in social program evaluation from the University of Michigan. She is a member of the third Wharton Fellows Class at the University of Pennsylvania and completed the Executive Program for Philanthropy Leaders at Stanford University’s Graduate School of Business. Joann has over 20 years leadership experience in HR, Administration, Training, Operations, Facilities and General Services. Experience culled from the telecommunications, BPO, semiconductors, IT, pharmaceutical and the mining industries. She is a sought- after resource speaker on career counseling, succession planning, workforce planning, workplace diversity, and organizational transformation. Char Kurihara has been in the New Home Construction industry for 20 years. Currently, she is the Corporate VP of Branding for Dan Ryan Builders and Elevate Homes. Active in the Washington Area BIA, she is also a Hearthstone Humanitarian Judge, a member of the 55+ Housing Council and has been a speaker for the Hanley Wood Housing Leadership Summit. She teaches continuing education for local Real Estate chapters and is a private mentor and coach to sales leaders Mrs. Kurihara graduated with honors from George Mason University. Shyamala Soundari Kuppusamy is a Product management leader with 12+ years of experience in E-Commerce, digital strategy, mobility, supply chain and merchandising. Led various strategic initiatives in major retailers such as Macy’s , Bloomingdale’s, Toys ‘R’Us, Sears & Kmart, Alfuttaim Retail, Marks & Spencer across multiple geographies - USA, UK, UAE & India. She is also a Gold Stevie Award winner in 2016. Nancy is Executive and GM, Real Estate Tax and Payment Solutions, Core Logic. Core Logic is the Industry leader in delivering Insight through Property and Financial Data, Analytics, and Services. Nancy runs the largest division for Core Logic and is helping lead the company in transforming the real estate industry though innovation and optimization of deep data and processing capabilities. Brandy Lee is Director - Human Resources and Administration for Vinci Construction Grands Projets (SCL 1103 & 1122), a major international construction company, and part of Vinci from France employing more than 185,000 in 800 subsidy companies over 100 countries across five continents. Vinci design, finance, build and operate infrastructure and facilities that help improve daily life and mobility for all. Wendy MacKinnon is CEO and Founder of Digital Retail Apps and inventor of SelfPay, an award-winning mobile self-checkout app. Previously Wendy consulted to Fortune 100 companies in retail and consumer technologies. Wendy is a recognized thought leader in payments and mobile commerce, and frequent speaker at conferences and events. Jeanette Maister has been Head of Americas at Oleeo since 2012, driving growth while helping customers solve their hiring challenges. A graduate of Washington University and Columbia Business School, Jeanette was recognized as a 2018 IT Women of the Year finalist, received the Stevie silver 2017 Female Executive of the Year and 2017 SmartCEO Brava Awards. Olivia McArdle is Head of Deposits and Payment Products for Macquarie Bank. She is responsible for the future strategy and continued growth of deposits business and the advancement of payments strategy. Prior to 2014, Olivia was the CFO for Macquarie Group’s Technology Division. Between 2006 and 2010, Olivia was the COO of the Infrastructure and Real Assets business of Macquarie. Prior to joining Macquarie, Olivia worked for MLC Limited and PricewaterhouseCoopers. Olivia holds a Bachelor of Commerce (Accounting & Law), a MBA from AGSM (UNSW) and is a Chartered Accountant. Karen is a senior executive with a career that has spanned over 30 years across Industries. 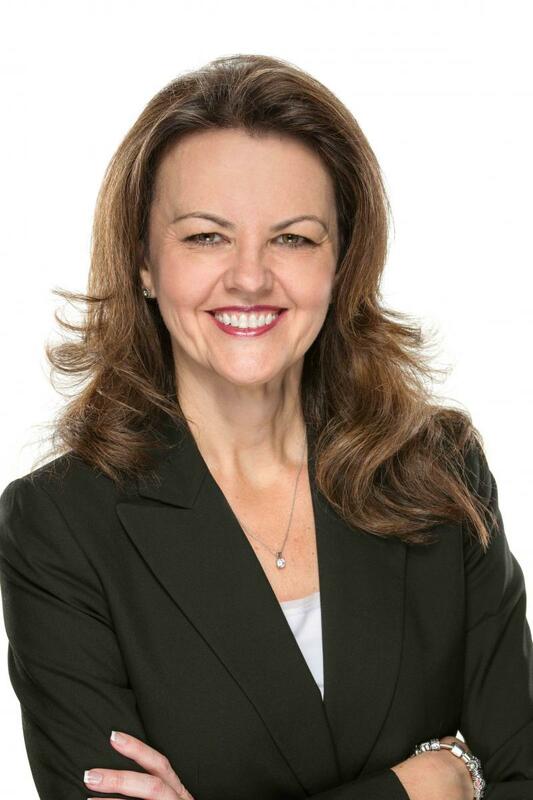 Her experience covers Executive roles at Cisco Systems, trustee on the Cisco Systems Foundation board, officer in the Australian Army and leadership speaker. She is currently utilising her knowledge and experience to coach Executives. Hannah Montroy has over 20 years in leadership experience in areas of Business Transformation including Continuous Improvement, Process Standardization, Leadership Development, Learning Development and Management, Change Management and Project Management. She graduated from Eastern Washington University with a BA in General Management and Human Resource Management with a minor in Communications. She went on to graduate from Regis University with a Masters of Science in Organizational Leadership. Gracianne Moura Santos is Innovation Lead for FIS Innovation Lab in Latin America. Currently leading product innovation initiatives focused on emerging technologies, she has spent the last 10 years working with many companies in different parts of the world helping them craft the best solutions for new products and business development. Karen Naumann is a seasoned practitioner with more than 20 years of communication experience. She is currently Vice President at Susan Davis International, one of the top five public affairs firms in the country. Prior to this, she worked in communication for the Government of Israel’s Ministry of Foreign Affairs at the Consulate General of Israel to the Southwest United States. On behalf of Israel’s Ministry of Foreign Affairs, she led strategic communication efforts, specifically in building mutually beneficial relationships with the media, organizations, and communities in a six-state region, as well as managed crisis communication and digital diplomacy. Her professional work has received honors from the Houston Press Club, as well as the Public Relations Society of America (PRSA), which is the nation’s largest professional organization serving the communications community. Karen is accredited in public relations (APR) through PRSA. By earning her APR, she has demonstrated her commitment to excellence and the highest ethical standards. Angela Olson is Director of the Technical Operations Center at Cofense, the leading provider of human-driven phishing defense solutions for organizations concerned with their susceptibility to sophisticated cyber-attacks. Since joining in 2015, Angela has transformed the Support organization into an award winning "best in class"  service organization. While expanding into a global support organization, they have maintained a median First Reply time of 22 minutes, Next Reply time of 30 minutes, and a consistent CSAT average of 99.3%. The team won the 2018 Silver Stevie Award for Customer Service Department of the Year Award - Computer Software - 100 or More Employees. Larry Sites, MSA, SPHR, SHRM-SCP, has been in Human Resources at KDHS for almost 20 years. Larry is also a college instructor for HealthCare Administration programs.